When Kasey Ramirez, an instructor in the Henry Radford Hope School of Fine Arts, began to teach a drawing fundamentals class, she taught it the way she had been taught in her own drawing classes as an undergraduate. In particular, the grading practices she experienced included only some verbal feedback from the instructor, and a letter grade that provided little guidance about the strengths and weaknesses of a drawing or how to improve. When she applied these grading methods in her own teaching, however, she noticed a problem: students were not getting as much out of the course assignments as she hoped. “I would write up these assignment sheets and I’d write out everything I wanted the students to do, and the objectives, but I still felt like the student work was lacking focus in certain areas.” She also decided that assigning points to particular aspects of a student’s project without explaining what the point values signified about the student’s work seemed unfair. To help students focus on specific aspects of the assignment, and to articulate her grading standards—both for herself and for her students—she created a rubric for each assignment in her course. Creating the rubric, she noted, “took a lot of work up front,” and forced her to think about her grading in a very detailed way. “Developing a rubric allows you to be really specific about not only what you’re looking for with a project, but also since you have to give students grades, you have to decide what an A means—what a drawing that fulfills those requirements would look like. So it made me become really specific in what I was asking my students to do.” After creating the rubric, she distributed it to her students and had them use it to “grade” drawing examples similar to those they drew themselves. Her goal in this exercise was partly to familiarize the students with the rubric and give them experience in recognizing the qualities she was looking for in their work. But it had another beneficial effect: because the students worked in groups of four to reach a consensus on a grade for the drawing, they were required to describe and differentiate the specific features of the drawings that supported their grades. This enabled the students to get practice in using the vocabulary she wanted them to learn. (Follow the links to see an example of one of Ramirez’s assignments and the accompanying grading rubric). The effects of using the rubric were beneficial for both Ramirez and her students. For Ramirez, using the rubric made grading easier and faster as well as more equitable. For the students, using the rubric resulted in higher quality work. It also motivated students to revisit and rework their projects after turning them in, based on the feedback they received from the rubric. One concern Ramirez felt initially about using rubrics involved how students would respond to it. Because she had never used a rubric in her teaching, and had never encountered one as a student in any studio art course she had taken, she was unsure about whether the rubric would be viewed positively by students. Students responded very positively to the grading exercise using the rubric, however, and were tougher graders than she would have been. Another initial concern of hers was that the rubric would stifle creativity, an important element of the students’ work in her course, and result in identical projects that lacked individuality. However, her concern proved groundless. In the future, Ramirez hopes to refine the language she uses in her rubrics to eliminate ambiguity and to rework the point system to make the rubrics even more effective in focusing students’ attention on particular qualities of their work. She would like to see other studio art instructors experiment with using rubrics in their work; she says it has changed the way she thinks about grading, and has helped students produce better work in her courses. 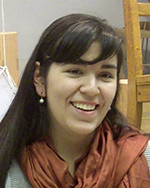 Kasey Ramirez received her undergraduate degree from the Rhode Island School of Design, where she was a teaching assistant in drawing courses. She taught Drawing Fundamentals, a required course for prospective majors in studio art, as a graduate student in the Hope School of Fine Arts. She completed her MFA in Printmaking in the summer of 2012, and has moved to New Jersey, where she is applying for jobs, residencies, fellowships, and shows.